Victims of Crime Act (VOCA) is the only federal grant program supporting direct assistance services to victims and survivors of all types of crimes. The primary purpose of the VOCA grant program is to extend and enhance services to crime victims and crime survivors. VOCA funds are allocated annually to the Oregon Department of Justice Crime Victim and Survivor Services Division and are sub-granted to victim service organizations throughout the state (PDF). assist primary and secondary victims to stabilize their lives after a victimization. assist victims and survivors to understand and participate in the criminal justice system. provide victims and survivors with a measure of safety and security such as boarding-up broken windows and replacing or repairing locks. Subgrantees are required to use the new OVC PMT system » to submit VOCA statistical information quarterly. The Victims of Crime Act (VOCA) was passed by Congress and signed into law by President Ronald Reagan on October 12, 1984. It serves as the central source of federal financial support for direct services to crime victims. VOCA is administered at the federal level through the U.S. Department of Justice Office for Victims of Crime, which annually awards a grant to each state, the District of Columbia and U.S. Territories. Those state agencies, in turn, subgrant to organizations providing direct services to crime victims. The money for these grants comes from the Crime Victims Fund, a special fund into which fines, penalty assessments, bond forfeitures collected from convicted federal offenders and certain other collections are deposited. Taxpayers do not fund VOCA grants. Each state has a designated VOCA assistance agency to administer VOCA grants. While minimal federal requirements must be met, each state is given great discretion in awarding specific subgrants. 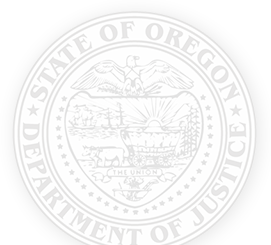 In Oregon, the Oregon Department of Justice (DOJ) is the designated agency for the administration of VOCA funds. The Crime Victim and Survivor Services Division (CVSSD) of the Oregon DOJ has specific program responsibility for VOCA. The newly formed Competitive and Non-Competitive Advisory Committees serve as a review body to the Oregon DOJ and CVSSD. Congress took an unprecedented step forward in meeting the critical needs of our nation’s crime victims by increasing the VOCA cap for FY 2015. As part of the 2015 appropriations bill, Congress more than tripled the annual amount of non-taxpayer money released from the Crime Victims fund by raising the annual cap. With this unexpected increase to Oregon’s VOCA allocation, CVSSD has the opportunity to make significant improvements in victim and survivor assistance services as well as the responsibility to do so in an accountable and transparent manner.